Acer has launched its Aspire S13 to explore the upcoming seasonal booms in Taiwan (photo courtesy of UDN.com). Acer, a Taiwanese notebook PC branded vendor who has managed to stage a comeback for the years from continued recession since 2012, posted a share of 22 percent in the Taiwanese market in May, a goal achieved one month earlier than it expected, according to the firm. Early this year, Acer set an objective of boosting its market share in Taiwan's notebook PC market quarter by quarter, to 22, 23 and 24 percent in the second, third and fourth quarter, respectively. In this logic, the May result is absolutely encouraging to the firm. In fact, Acer had for a long period of time maintained its market share at the levels of 30 percent (sometimes nearing 40 percent) at home. However, fretted by the shrinkage of the global PC market and a painful organizational restructuring since its former CEO Gianfranco Lanci quitted in late 2011, the brand has seen its market share in Taiwan seriously tumble and hover around only 20 percent over the past years. Witnessing the May performance, Acer's local marketing division director Samuel Chang stated that the brand has gradually rallied on the payoff of unwavering efforts to stabilize and revive its core business. On outlooks in the second half of this year, Chang stressed Acer “has no reason to be pessimistic,” mainly due to the upcoming seasonal boom and new tenders to be launched by local governmental units. 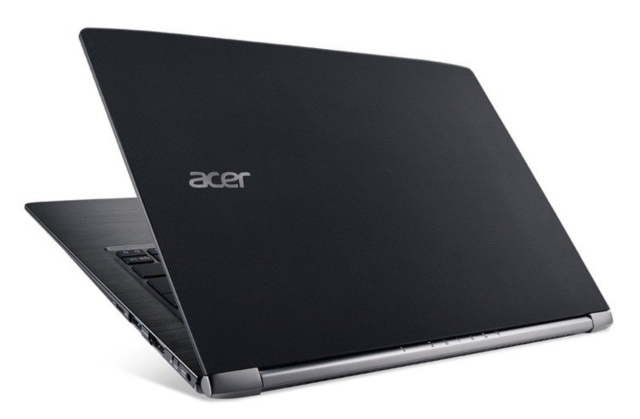 To maintain its growth momentum, Acer has just launched several new products, including Aspire S13, the latest model of its S series ultrabook family, which is expected to become the brand's ace in the hole to further enhance market share in Taiwan.